From time to time it is helpful to pause and consider whether we are sincerely seeking after God. It is a valuable spiritual exercise simply to gauge your desire for God. A question to consider is whether there is anything in your life you value more than God? It is critical that you love God more than self, and all created things in God. A great desire for God, the Summum Bonum (Greatest Good), is key to our spiritual progress. The saints saw with true wisdom that the great good in life is the “Ever-Blessed God” who is Infinite Goodness (what can compare to Infinite Goodness: all the other goods in the world, wrapped together as one big bundle of good, are less than nothing compared to He who IS); and seeing this truth, and moved by it, the saints went after God with an unremitting intensity, knowing that union with this Infinitely Good God was the only true and final end of life. We affectionately call Saint Therese “The Little Flower”. And all the saints were aware of their extreme littleness compared to God: humility is the pathway to God. 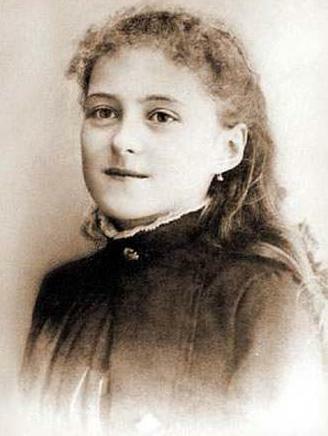 But it would be a mistake not to see in Saint Therese the heart of a lion who went after God with a ferocious appetite. In fact, Saint Therese in her autobiography compares herself to “a weak little bird” who has “the eyes and heart of an eagle” (Manuscript B). An ardent desire for God – above all created goods – is characteristic of the saints. The sentimental image of Therese as a charming French girl who gave her life to God by becoming a nun and offered up little sacrifices on God’s behalf is true – yet her life runs even deeper than that. Her life is the story of a girl and then a young woman who was radically in love with God and who wished to offer herself to God in an exchange of love that took her completely beyond herself and into God (nuptial union). Therese’s “little way” of “making love the mainspring of every action” requires the profound, constant and universal mortification of self-love and self-interest. It is a little way but with huge implications for growth in holiness. The sweet, little way is a death – a death to self. Under-girding Therese’s little way, therefore, is an ardent love of God expressed by a sacrificial life. What is the lesson here? It is this: you gotta want God. You gotta go after God with great desire. Oh Mother Mary, please place in our hearts a portion of your own desire for God. Practical recommendation: make a novena to Saint Therese for either a greater desire for God or for greater confidence in God. “You will seek me and find me when you seek me with all your heart,” said the Lord (Jeremiah 29:13). References: In the opening pages of The Ascent of Mount Carmel Saint John of the Cross constantly reminds the reader of the nothingness of everything else compared to God, and I am using his language and that of Father Faber in this note (paragraph two). I am also relying on Bishop Guy Gaucher’s book, John and Therese: Flames of Love. Photograph of Saint Therese, Public Domain, U.S.A. Saint Therese’s Feast Day is October 1.